MULIA BALI REVIEW: "A recap of holidaying in Bali like a millionaire." 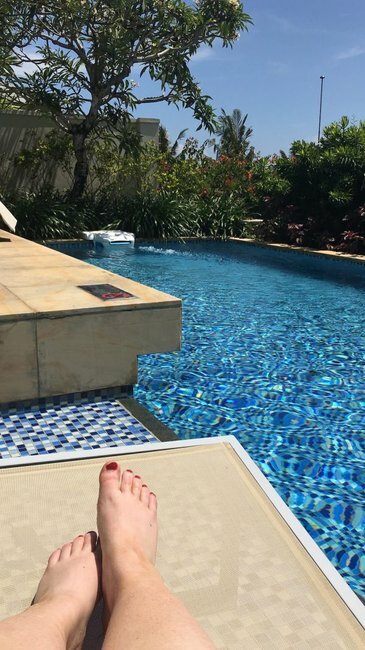 "A recap of exactly what it's like to holiday in Bali when you're famous or filthy rich." 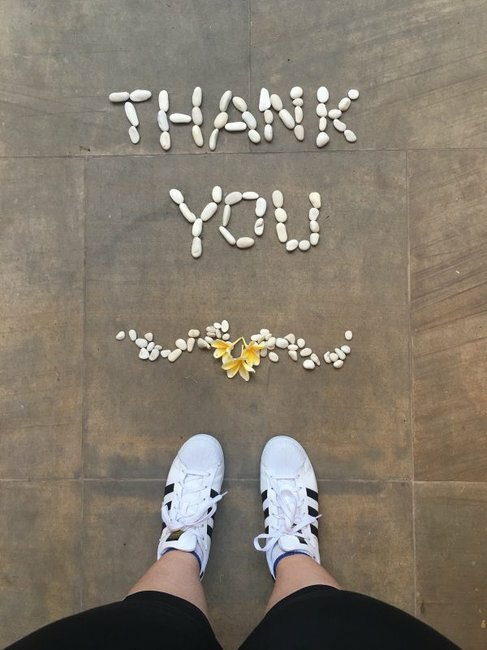 This is just one of the requests The Mulia Bali Hotel Manager Adam Bardetta has fulfilled for his many celebrity and millionaire (billionaire, even) guests. 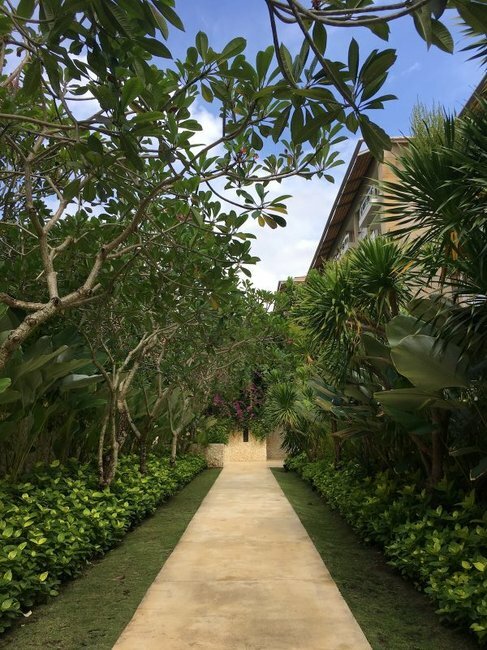 Sitting in the back of a small private buggy winding through the intricate pathways of The Mulia villas, I was also told about the time one extremely high profile guest said they didn’t want to see or speak to a single human being during their lengthy stay. 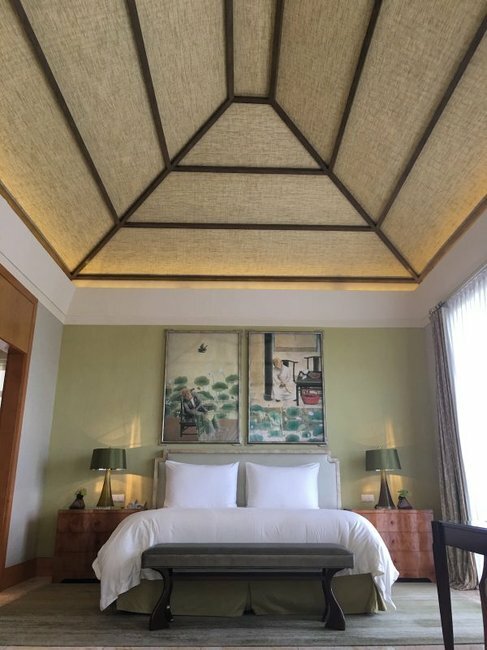 Once a week, a large, dedicated team of cleaners had a mere 45 minutes to clean this person’s entire six-bedroom Mulia Mansion villa, complete with adjoining rooms for the children’s nannies. That person was… not me. 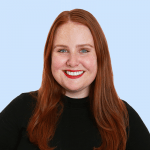 Nope, I’m just a 26-year-old writer from Adelaide who owns a single pair of swimmers and got a patchy spray tan for my long weekend holidaying like an A-lister. Bloody tough gig, eh? 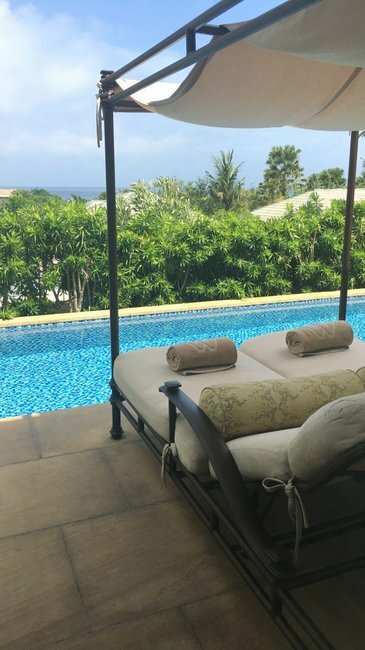 But it could have been one of the many celebrities who go to The Mulia, Mulia Resort & Villas in Nusa Dua, Bali to relax and escape paparazzi. The likes of Fergie, Lupita Nyong’o, Lily Allen, Ashley Graham, Kate Bosworth, Millie Bobbie Brown, Shay Mitchell, Liam Payne, Rachel Leigh Cook, Catt Sadler, Luke Evans, Darren Criss, and Aussies Natalie Imbruglia, Pia Muehlenbeck, Ksenija Lukich and The Bachelor’s Megan Marx have all graced the pools and villas of The Mulia. And those are only the guests The Mulia, Mulia Resort & Villas staff are allowed to talk about. 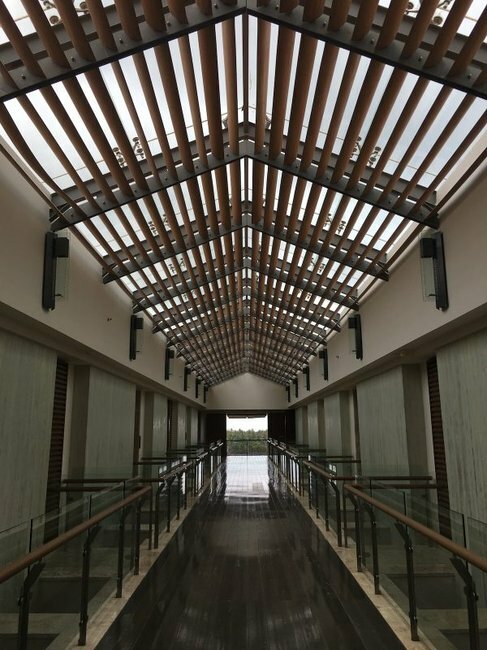 The Mulia Bali has welcomed Presidents, Prime Ministers, royalty, Sheikhs, tycoons and people so high profile, we wouldn’t even know they exist (the staff say with the utmost discretion, despite my incessant probing). If you’ve ever wondered what it’s like to go on holiday when you have millions of dollars, look no further. 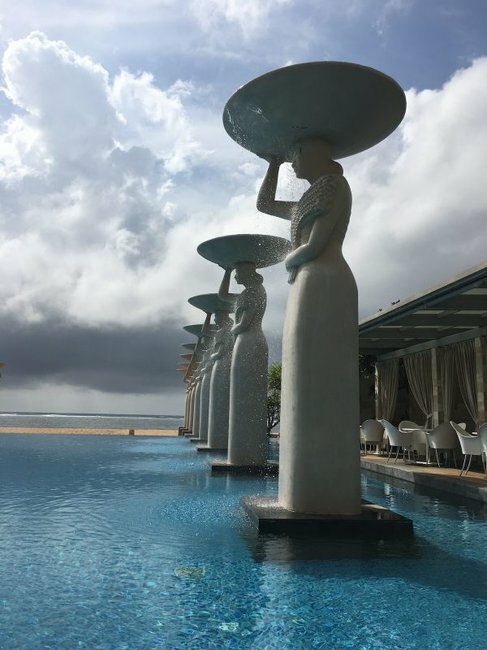 I humbly took one for the team and spent four glorious days at The Mulia Bali to recap my exclusive glimpse into where the world’s rich and famous go to unwind. Accommodation at The Mulia, Mulia Resort & Villas. 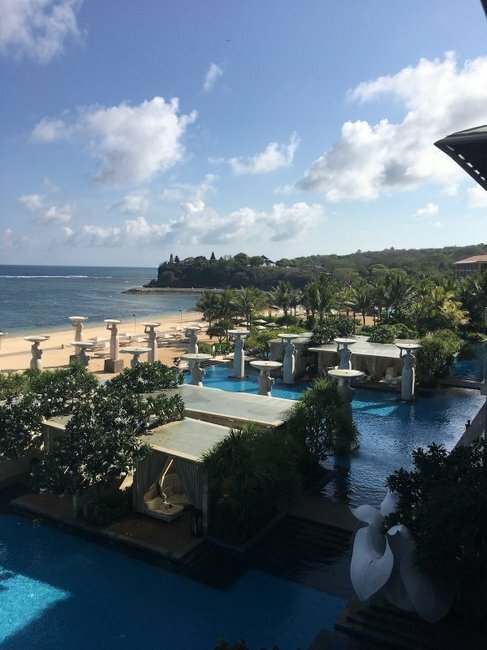 The Mulia, Mulia Resort & Villas is set on a sprawling property on its own private stretch along Bali’s Nusa Dua Bay and can accommodate around 1,500 to 2,000 guests. The grounds are lush and completely luxurious. At night, the immaculately maintained garden is lit up with lights along the path. The staff even turnover the sand along the property’s beach every single day so it’s always white and pristine. The terrible view from The Mulia balcony... Image: Supplied. 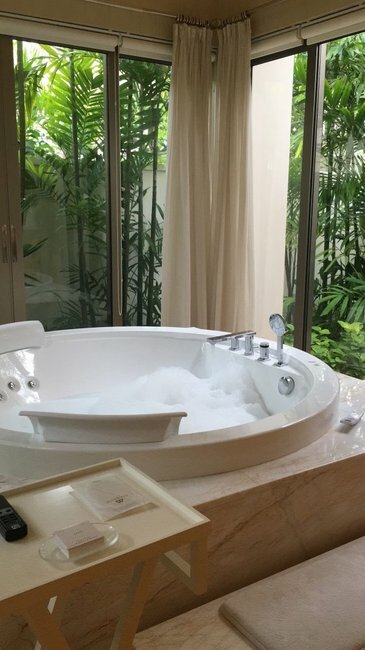 Is it wrong to want to sleep in this bathtub? Image: Supplied. 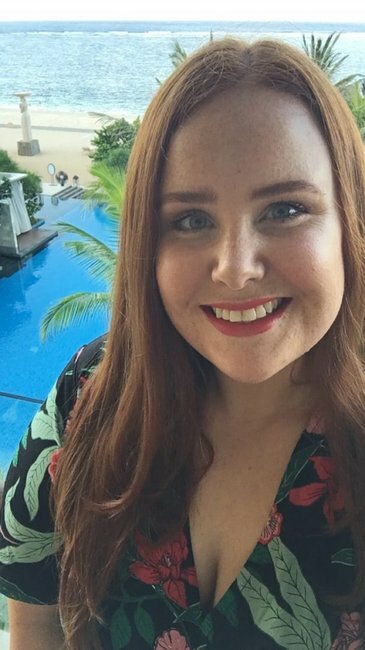 Me on my The Mulia suite balcony before the Bali humidity melted me. Image: Supplied. How&apos;s the serenity? Image: Supplied. The Mulia&apos;s famous Balinese ladies. Image: Supplied. Yes, a bath and a spa bath is absolutely necessary. Image: Supplied. I got this all to myself. Soz. Image: Supplied. The Mulia hallway, was even more beautiful lit up at night. 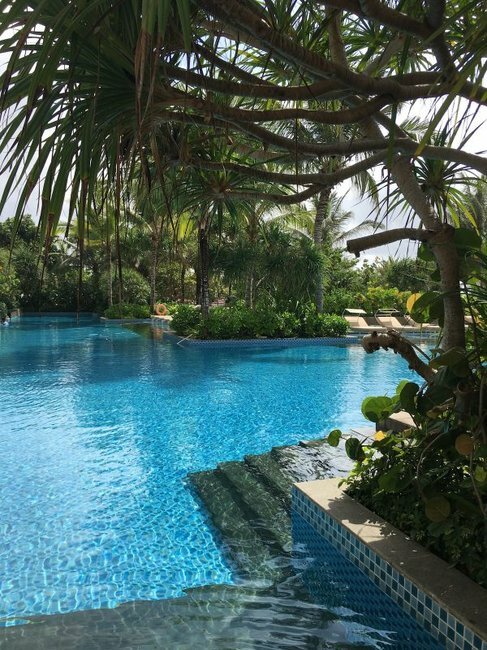 The Mulia pool goes on forever. Image: Supplied. The Mulia is The Mulia Bali&apos;s suite-only hotel accommodation offering. It&apos;s a hotel within a hotel with 111 stunning suites, many with balconies overlooking the ocean front. Oh, did I mention each balcony has its OWN SPA?! 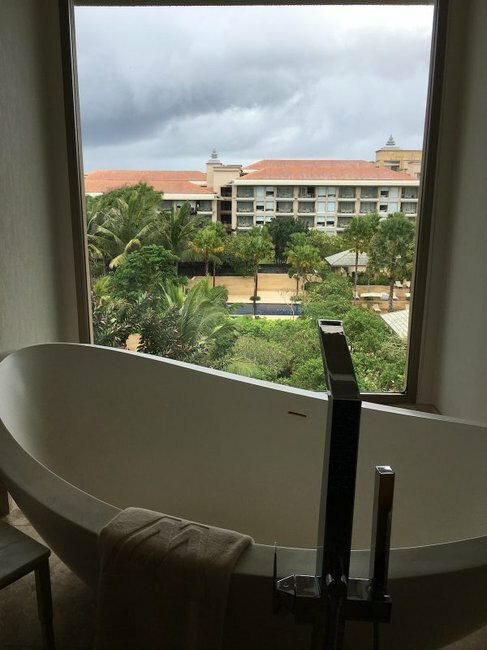 Walking into my suite and taking in the view - and the marble bathroom with an incredible bathtub - was surreal. I FaceTimed my partner and parents immediately, my step mum&apos;s reaction was something along the lines of "BLOODY NORA!". Guests of The Mulia also have exclusive access to the Instagrammable oceanfront Oasis Pool, the Aqua Pool and private cabanas, as well as The Lounge, an exclusive dining room that serves cocktails and hors d’oeuvres for afternoon tea daily. The Mulia suites come with their own butler too (my wonderful butler&apos;s name was Yogi) and prices start at $750 USD ($1,054 AUD) per night. 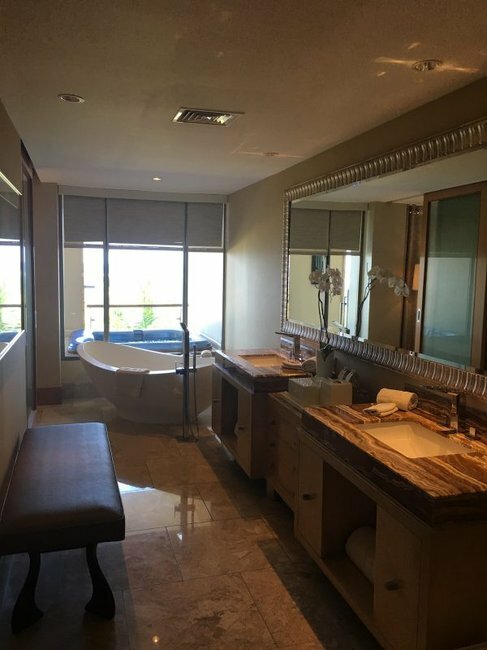 The bathroom situation in the Mulia Resort. Image: Supplied. 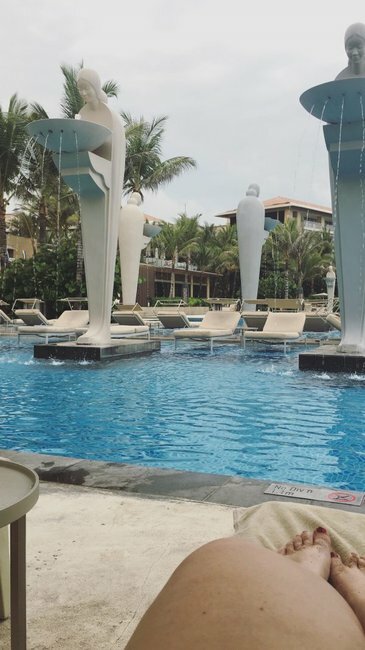 More lounging by the Mulia Resort pool. Image: Supplied. For a lack of a better term, this is commoner&apos;s accommodation. If The Mulia Bali was The Titanic, Mulia Resort would be the underground barracks that got flooded first... if those barracks had stand alone two-person bathtubs overlooking the Indian Ocean, minimum 800 thread count Egyptian cotton sheets, sensor activated toilets with heated toilet seats and a sprawling pool complete with a swim up bar. What I&apos;m trying to say is that you and I could feasibly holiday at Mulia Resort. If we saved up really, really hard. Mulia Resort has 526 accommodations starting at $380 USD per night (roughly $533 AUD) including lagoon pool rooms and balcony suites that overlook the many resort pools and private poolside cabanas, all of which are serviced with Mulia Resort’s signature five-star service and Balinese warmth. 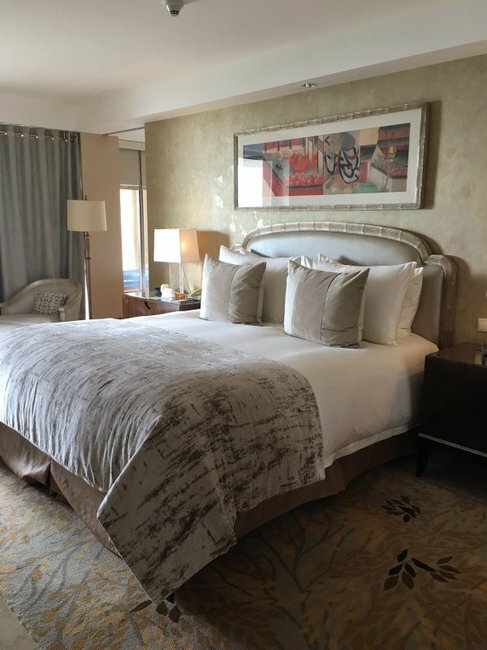 It&apos;s a great option for couples, families or small groups who want a taste of all the high life has to offer, without incurring eye watering credit card debt or declaring bankruptcy. This was absolutely ridiculous. Image: Supplied. Just chilling by my private pool. Image: Supplied. The view from the Presidential Villa&apos;s balcony. Terrible. Image: Supplied. The Mulia Mansion&apos;s private villa pool. Image: Supplied. My little mate made by my butler. Image: Supplied. The Mulia Villas are the property&apos;s most exclusive accommodation offering. 108 villas are tucked away in a maze-like area far away from both The Mulia and Mulia Resort. 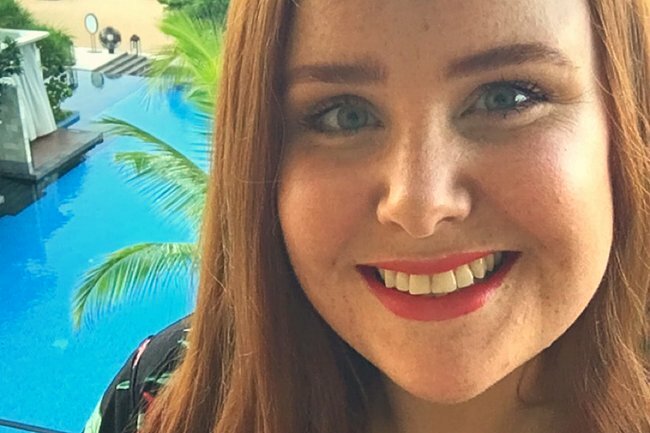 The only real way to get around is by buggy - although, one morning we saw black Range Rovers manoeuvring their way through the villas, transporting someone the staff weren&apos;t &apos;at liberty to say&apos; to their private villa. I was #blessed to stay in a one-bedroom villa for a night. Each villa comes with a ginormous king size bed, a walk in wardrobe, dressing room area, living room, and marble bathroom complete with a huge shower and a jacuzzi surrounded by floor-to-ceiling french doors you could open up if you wanted to bathe al fresco. 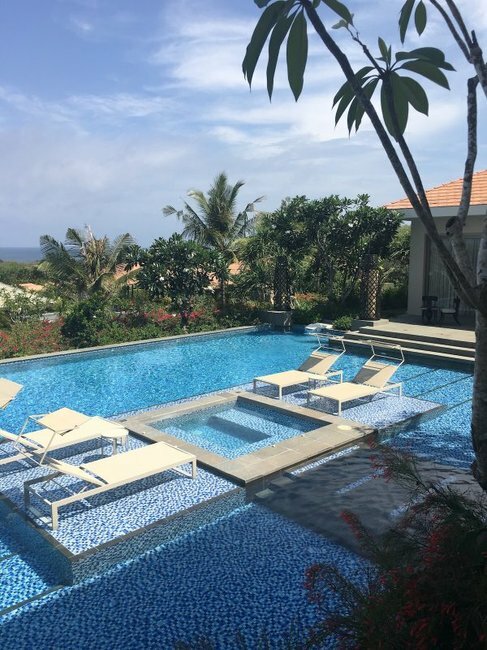 Each villa also has it&apos;s own private hydrotherapy pool with a view of Nusa Dua beach, sun beds and lounges, undercover entertaining area where your 24/7 private butler can cook you a barbecue, and a lush, grassy garden courtyard. The villa is completely private thanks to clever landscaping and strategically placed hedges. So yes, you can swim naked, which I 100 per cent did with no regrets. The villa&apos;s reception has its own private dining area and infinity pool, but if you want to slum it with regular folk, a butler-driven buggy can drop you to wherever you want to go, day or night. Because of the high profile guests they host, details of the villas are clouded in mystery. Starting prices for Mulia Villas is $980 USD per night ($1,300 AUD) - the Presidential Villa and Mulia Mansion villa are rumoured to cost $10,000 USD ($14,000 AUD) and $25,000 USD ($35,000 AUD) per night. Put it this way: if Prince William and Kate Middleton and Prince Harry and Meghan Markle wanted to escape their royal duties, they&apos;d do it here. For all I know, they could&apos;ve been staying there in the villa next to mine. 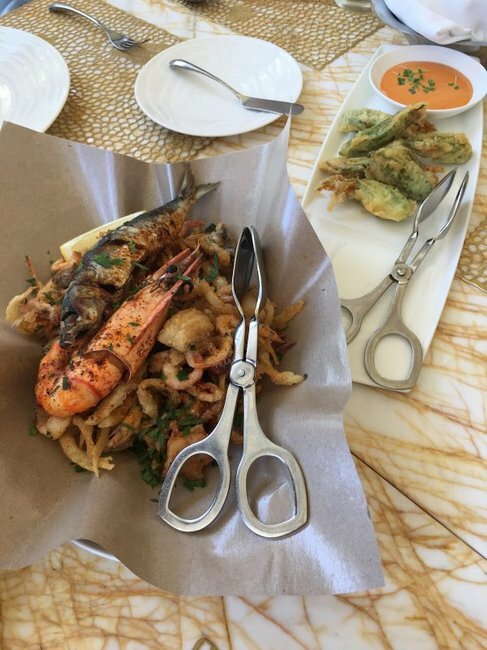 Food (and drinks) at The Mulia, Mulia Resort & Villas. 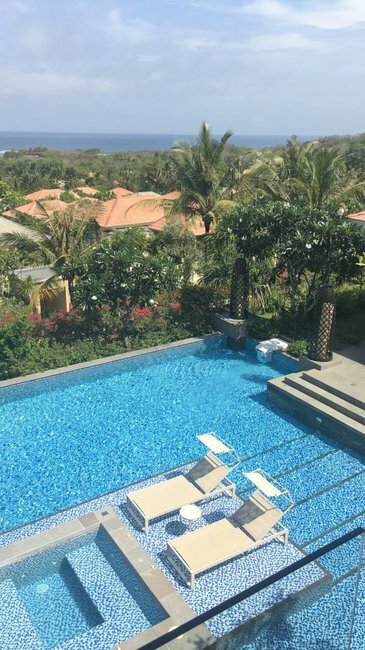 There are so many things to do at The Mulia, Mulia Resort & Villas - sunrise yoga, traditional Balinese crafts, a fully supervised kids club and multiple pools to recline next to. 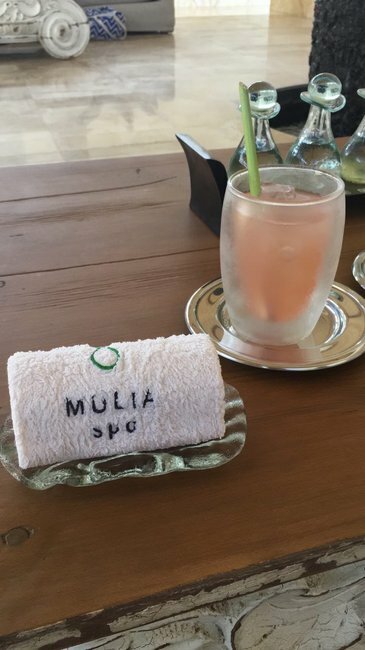 The Mulia Spa is also worth mentioning because I spent almost five hours in there and came out unable to form coherent sentences, but with very soft skin. 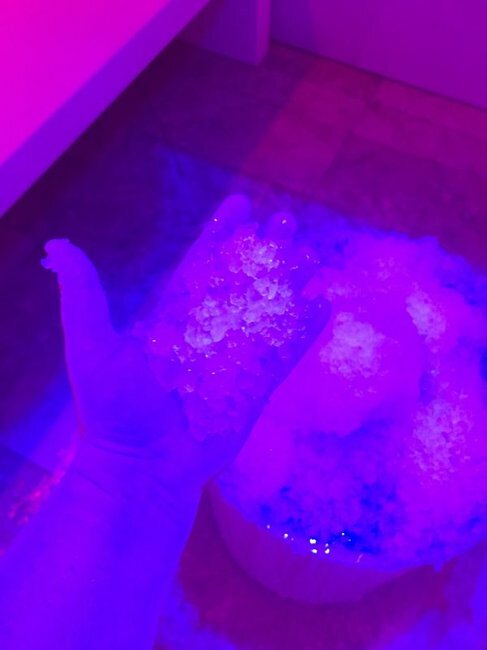 It&apos;s also home to Asia Pacific’s first authentic ice room, in which you cover your self with... ice. Predictably, it was freezing. 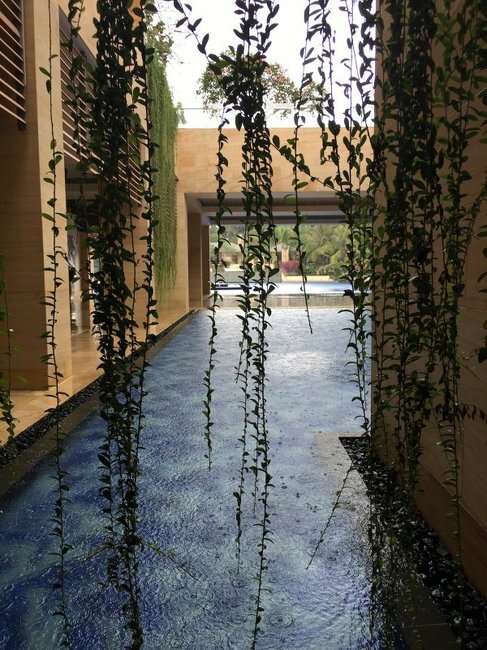 The small details at Mulia Spa were incredible. Image: Supplied. Just a bit of poolside pondering. Image: Supplied. The ice room was very difficult to photograph. Image: Supplied. 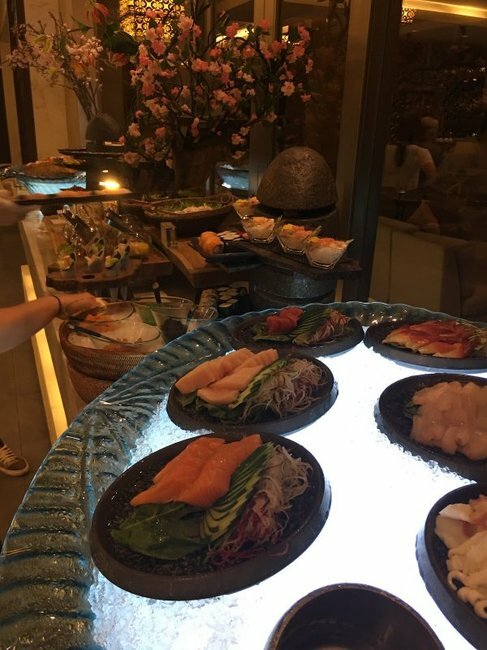 All those facilities were great (especially the doing nothing by the pool thing), but by God, the eating and drinking at Mulia Bali was next level. 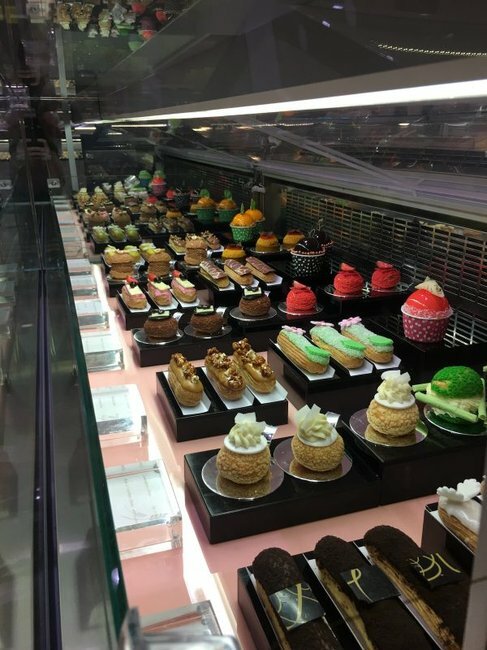 I proudly ate my way through most of Mulia&apos;s dining options, including Cantonese and Szechuan at Table8, Japanese at Edogin, breakfast at Mulia Villa&apos;s private dining area The Living Room, The Mulia&apos;s high tea in The Lounge, and many, many meals at Mulia&apos;s buffet offering The Cafe. 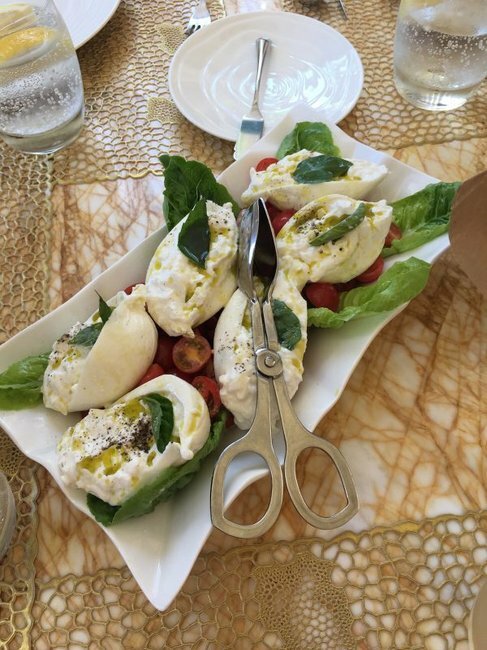 Honourable mentions go to Sky Bar for incredible sunset cocktails and tapas and the freshly baked French pastries at The Mulia Deli. 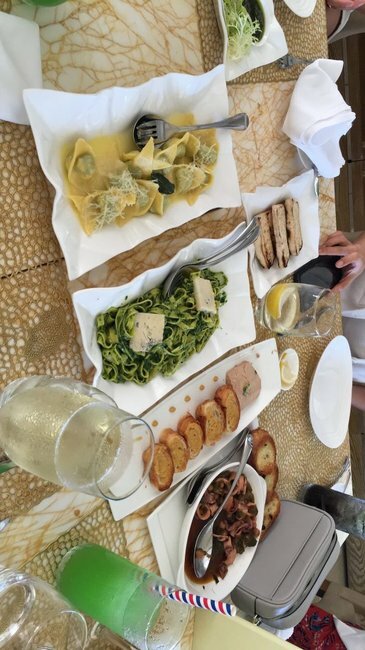 The highlight was Sunday brunch at the award-winning Soleil restaurant, which is often booked out months in advance. 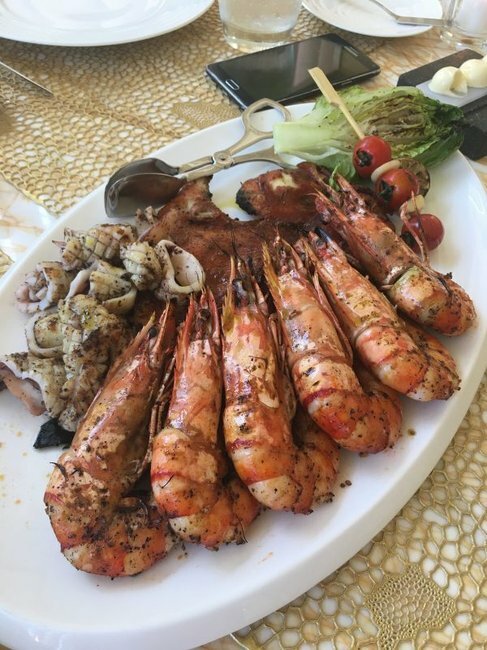 From huge king prawns, fresh oysters and crayfish and a full carvery, to traditional Balinese cuisine, a pasta station and even a vegetarian/vegan section, it&apos;s no wonder the all you can eat and drink package is so popular. There&apos;s also a chocolate fondue fountain so good, I saw people using spoons to get it on their plates on its own. 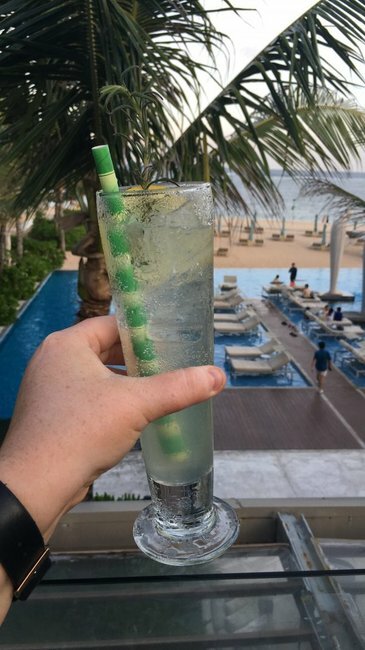 Obligatory Gin and Tonic photo for Instagram. Image: Supplied. 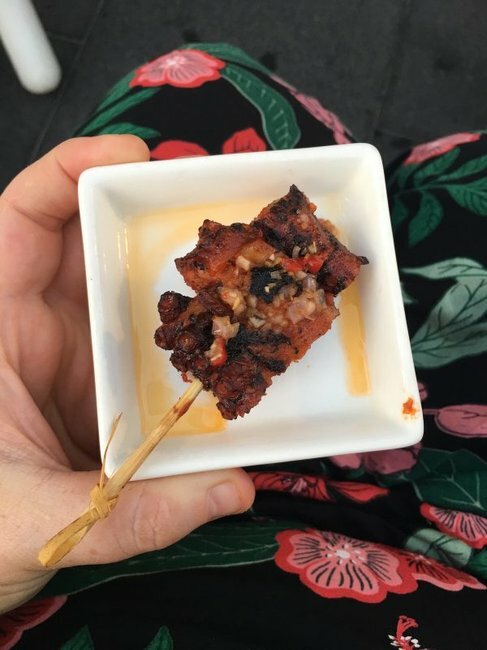 How can something so small be so delicious? Image: Supplied. SO MUCH PASTA. Image: Supplied. That cheese is what heaven looks like, I&apos;m sure of it. Image: Supplied. 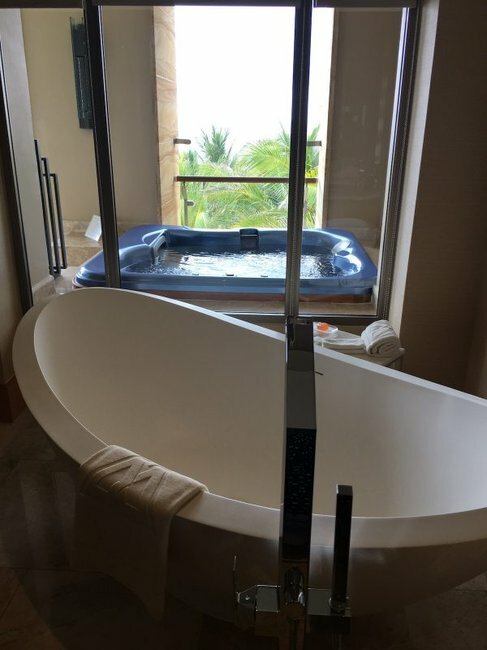 When I rolled into said one-bedroom villa after dinner at the most luxe all-you-can-eat buffet in existence (ugh, I hate me too), the spa bath/small swimming pool was full of water. Did I somehow manage to leave a tap running? No. My butler drew me a bath. This was just one of the personalised, luxurious touches made by my butler. But I could have asked for more. 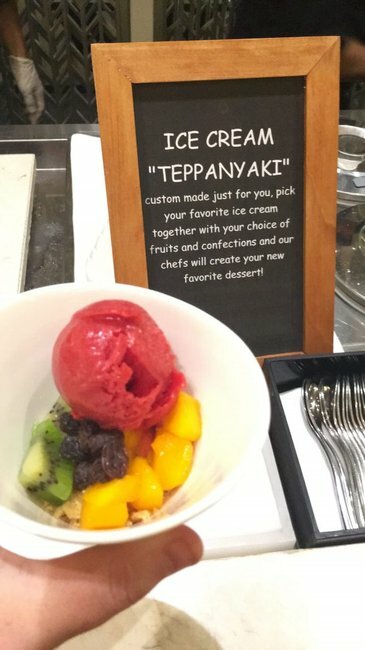 I could have asked for my butler to iron my undies, rub sunscreen on my back, stage an Instagram photo shoot, bring puppies for me to play with or separate a packet of M&Ms into their colours. Any guest of the Mulia Villas has their own butler on-call 24/7 to fulfil any and all requests. The butlers, along with all of Mulia&apos;s 3,000 plus staff, are truly incredible and take immense pride in their work, making a point to get to know their guests to provide an insane level of personalised service. For example, my butler had a packet of BBQ Shapes waiting for me when I first checked in. 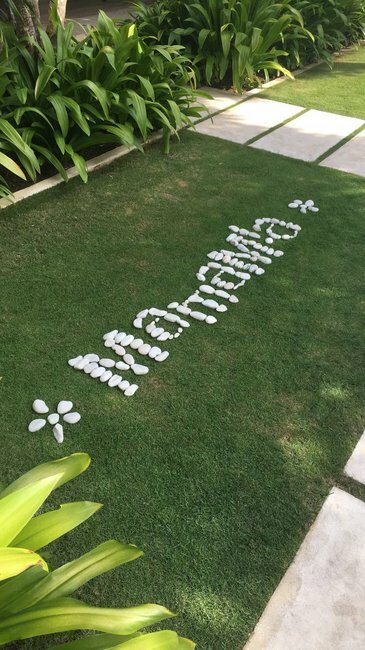 They also wrote Mamamia on the grass in my villa courtyard in pebbles in the dead of night, perfectly matching the font of the Mamamia masthead. How someone made this in pitch black darkness, I have no clue. Image: Supplied. What I saw on my way out of my villa. Bless. Image: Supplied. It&apos;s a level of service only the top echelon of society can afford. Like one high profile guest, let&apos;s call him Bob, who was holidaying in a villa with his partner when he decided he&apos;d very much like to get her a watch. So Bob called his butler. Bob wanted this specific watch, worth hundreds of thousands of dollars, delivered to his villa in time for his partner&apos;s birthday or their anniversary three days later. Only problem was, that specific watch brand isn&apos;t sold anywhere in Bali, or the entire country on Indonesia. Getting that watch to Bob in time meant finding a stockist in Singapore, and flying the watch and a man guarding the watch in a private jet to Bali. When Bob&apos;s butler presented him with the watch, he said thanks. "What would&apos;ve happened if you couldn&apos;t get the watch?" I asked Adam. He said that wouldn&apos;t have been an option. When a guest asks for something, they make it happen. That statement fairly accurately sums up what holidaying like a celebrity or Head of State is like. 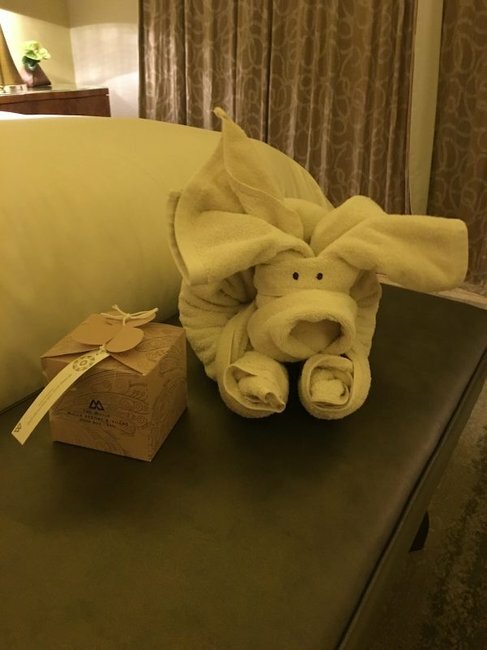 The thing that surprised me most about Mulia Bali though, is how each and every staff member made every guest feel like a millionaire or very important person. Even me, who is definitely neither. 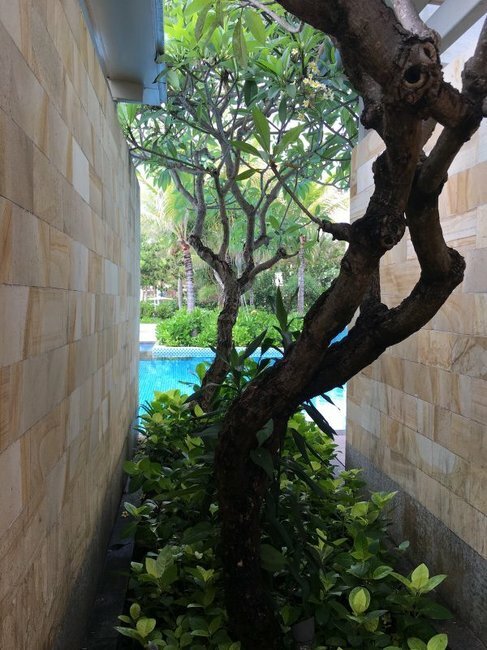 Amy Clark travelled to Bali as a guest of The Mulia, Mulia Resort & Villas, Nusa Dua, Bali.